Distillation is another common method for purifying the water that comes out of your tap. The Megahome Water Distiller is intended to remove any worry you may have about what’s in the water you’re drinking. Once the distillation process is finished, you can literally see all of the gunk and impurities that have collected at the bottom of the tank unit. Gross! 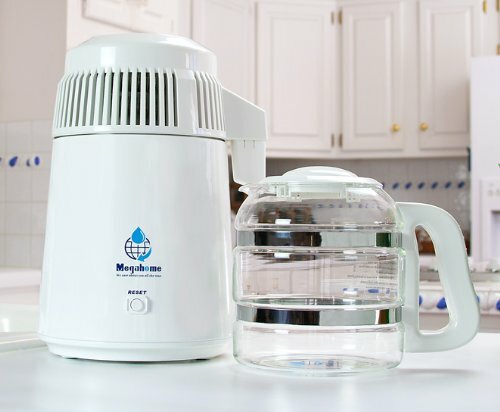 The Megahome Water Distiller effectively distills tap water and delivers clean, pure water for its users. There may be a few gripes about this product, but they seem to be little details such as the weight of the unit and post-use cleaning. If you have an issue with the distillation process in general and how it removes natural minerals from the water, then you may want to look elsewhere—a reverse osmosis system that adds calcium and magnesium may be more your speed. But, if you’re simply looking for a water distiller that works well and delivers what it promises, look no further than the Megahome Water Distiller. Countless users are happy with it. It works. Not only can you see what’s been removed from your water, but you can test it too. Reviewers who have done purity tests of tap water vs. water distilled from the Megahome Water Distiller say that the water produced from this distiller is clean and pure. Simple to use. All you have to do when using the Megahome Water Distiller is fill the distiller unit up to the fill point (it’s labeled on the inside of the tank), make sure the distiller is plugged in, and hit the button. You can walk away from the system while it’s working—once the distillation process is finished, the distiller will turn itself off. This means that you can fill up the Megahome Water Distiller and leave for a day of work without any worries, unlike some units that require you to manually shut it off. The Megahome Water Distiller is quiet. Some water distillers are very loud during the distillation process, but several users note how quietly the Megahome Water Distiller functions. It’s very easy to ignore. Notable taste-improvement. One reviewer claims that the Megahome Water Distiller turned her husband, who had previously thought distillers to be a load of bunk, into a true believer! Generally high user-feedback. At the moment, there is only one one-star review, and even this review is, in a way, positive. The reviewer states that the Megahome Water Distiller didn’t work, but that they’re confident that Megahome’s customer service support will rectify the problem. One reviewer mentioned the weight of the distiller is cumbersome and that they needed assistance when pouring the distilled water into the plastic collection jug. Removal of naturally-occurring minerals in the water. 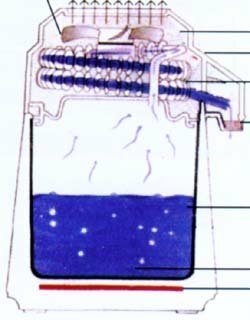 This disadvantage is not unique to the Megahome Water Distiller, but it remains a legitimate concern with all water distillers. Many believe that a lack of calcium, magnesium, and other minerals in water can lead to conditions such as osteoporosis. Because of this, many users add minerals to their water after it has gone through the distillation process. Cleaning the distillation tank takes some work. The cleaning solution included in the packaging can be used, but others felt the need to let the tank soak overnight in vinegar. While this is a hassle, at least you know the distiller is working, right? UL LISTED / APPROVED: UL (Underwrites Laboratory) is a trusted independent global safety science company that thoroughly tests products to determine if they comply with important safety standards. 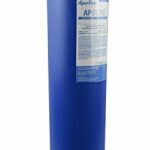 Megahome distillers are the only UL approved water distillers available. 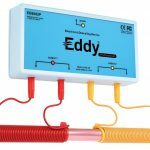 If you would not by an oven or coffee maker without UL listing, would you buy a water distiller that is not UL listed? PUREST WATER: Distills 1 gallon per/5.5 hours. Distills at the proper speed, removing unwanted toxins and contaminates. BEST QUALITY: Full 304 stainless steel interior, water does not touch plastic. GLASS COLLECTION: As the distiller produces pure steam distilled water, the water drips into a glass lined nozzle and then into your glass collector. The last thing you would want is to buy a distiller that purifies the water and at the same time contaminates it with cheap plastic parts. 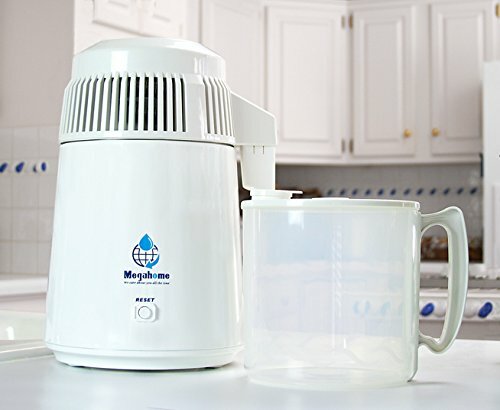 The Megahome distiller keeps your water pure and clean. BEST SERVICE INCLUDED: Every Megahome distiller is backed by a 1 year warranty and the service and support you would expect from a top quality appliance. No need to worry about warranty, customer service, or parts, Megahome distillers have been on the market for over 22 years and are the top selling distiller on the market.